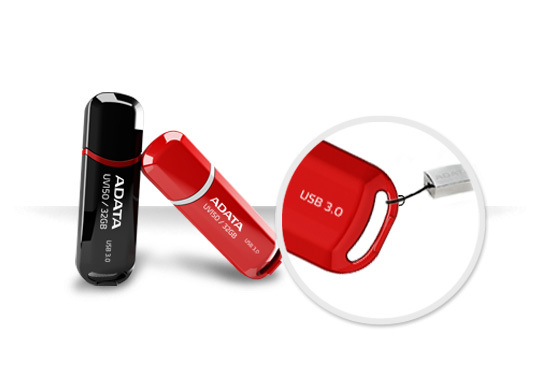 ADATA Technology, a leading manufacturer of high-performance DRAM modules and NAND Flash application products, has launched a new DashDrive UV150 USB Flash drive, a value-priced USB 3.0 solution with an attractive pearlescent exterior. The sleek contour of the UV150 makes the drive as easy in the hand as it is on the eyes, and the USB connector cap snaps in cleanly in the rear of the drive to prevent cap loss. A broad lanyard slot at the base of the drive allows for use with a wider range of carrying straps than is often seen in USB Flash drives. These factors, combined with a weight of only 9g (0.3oz), make the UV150 an essential accessory in today’s world of value-driven digital mobility Read transfer speed reaches 90 MB per seconds, provided the needed performance for the most common data storage needs. Purchasers of the UV150 can also take full advantage of ADATA’s free and proprietary value-add software, including UFDtoGO, OStoGO and the latest Norton Internet Security 2013 (60-day trial). The DashDrive UV150 is backed by a lifetime product warranty. The DashDrive UV150 is available in colors of glossy black and scarlet. Capacities are 8, 16, and 32 gigabytes.